Is all about actually wearing extraordinary art from my imagination. Affordable and fashionable, limited edition designer art. I hope you love the following collections as much as I loved creating them. Work the hallway like a runway with this stunning women's ensemble. 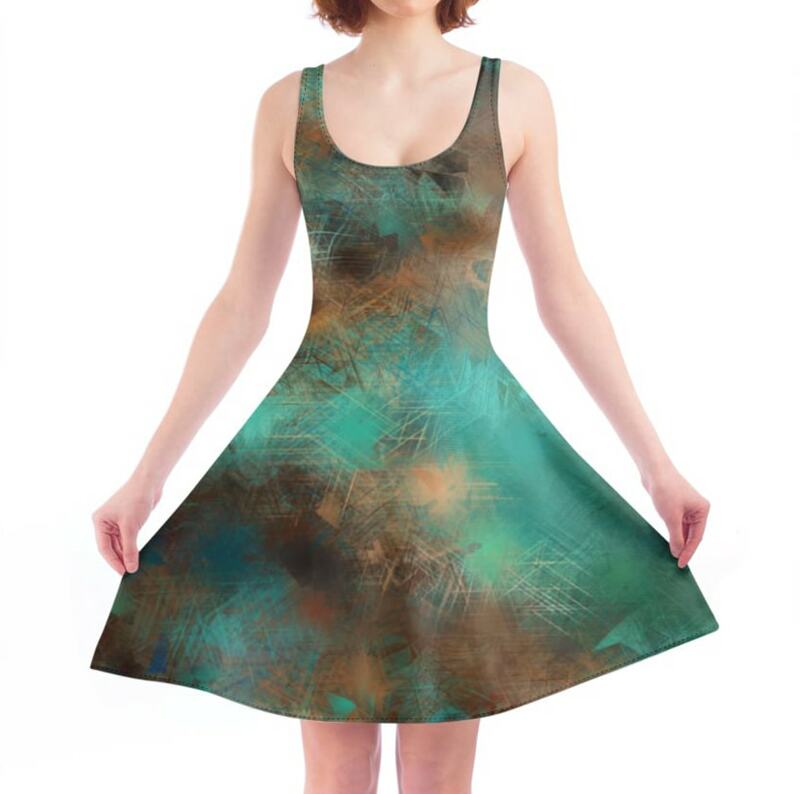 A stunning design and collection featuring a flattering classic A line dress printed with my original artwork, leggings, pure silk scarf and satin bomber jacket. Bomber jacket and leggings in a classic fade out to keep the vibrancy and focus on the skater dress. Pair it with the equally lovely, limited edition pure silk scarf. Wear it with the gorgeous, matching limited edition silk scarf. Accessorise this stunning design with the matching, limited edition pure silk scarf. For wow appeal, add the matching limited edition silk scarf. Tropical patterns, geometrics, bright colours, calming greens are all on trend for Spring/Summer 2018. Whether you want a pair for leisurewear or activewear, these fashionable leggings have been created with you in mind. Trendy, flattering and cheeky, the I Wet My Plants Designer Legging Collection have all been designed with the tropics as the main theme. Grab your favourite or grab two but remember, these are all limited edition, with a limit of 30 being produced. When they're sold, they're gone forever.